If the baby stops sucking, closes their mouth, or turns away from the bottle, he or she might be full or simply need a break. Use this as an opportunity to burp baby before feeding again. Notes: When removing a boy’s diaper, do so carefully because exposure to the air may make him urinate. When wiping a girl, wipe her bottom from front to back to avoid a urinary tract infection. A bath two or three times a week in the first year is sufficient. More frequent bathing may be drying to the skin. an infant tub with 2 to 3 inches of warm – not hot! – water (to test the water temperature, feel the water with the inside of your elbow or wrist). An infant tub is a plastic tub that can fit in the bathtub and is better fitted for the infant and makes bath time easier to manage. Keep in mind that babies use crying to communicate. Newborns cries will tell you when they need something – whether it be food, a diaper change, a nap, or just needing to be held. 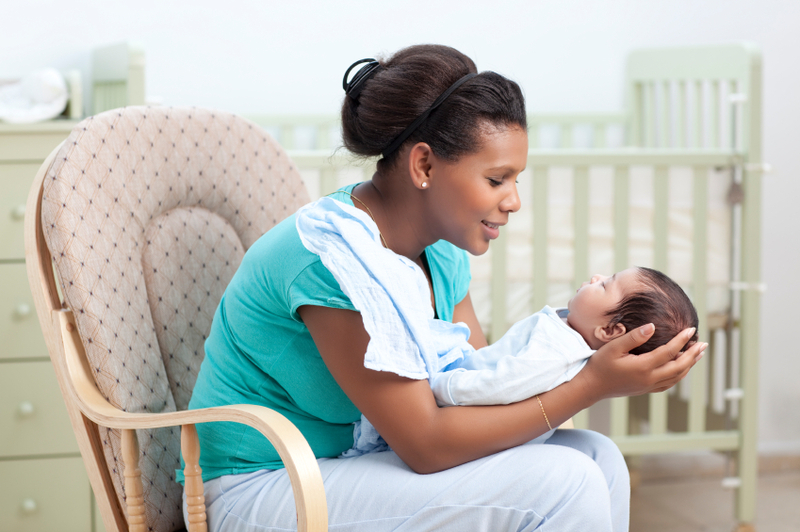 Before you know it, you’ll be able to recognize the newborn’s need and respond accordingly.